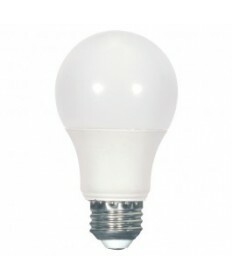 LED lamps are 80 percent more energy efficient than metal halides, CFLs, and incandescent bulbs and produce less heat. Upgrading to LEDs means, no more spending your summer months cooling down rooms that your fixtures are heating up. LEDs now come in daylight and warm white color temperatures, so you can easily replace your existing bulbs to set the mood of your room. LED lamps come with a superior color rendering index (CRI), so you can see the colors of your artwork or makeup more accurately. 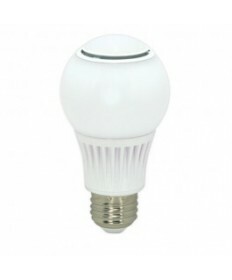 LED replacement bulbs are durable and Eco-friendly. LED lamps use one third less Carbon. LEDs last up to 10 years longer than their predecessors. This means less time climbing ladders trying to replace those hard to reach fixtures, especially in hard to reach places as well as vaulted ceilings. 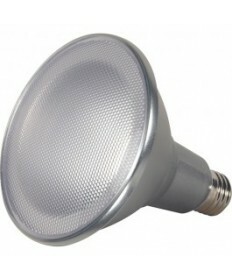 LEDs are the most viable and innovative technologies today. 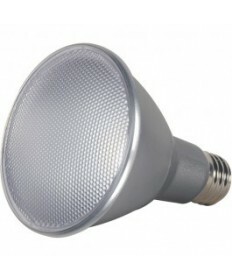 - No mercury - better than alternative to fluorescent and CFL lamps. 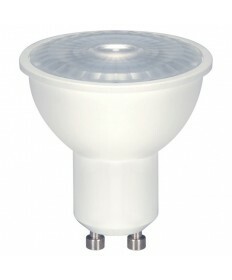 - Equivalent Light quality - equal or superior to traditional lamp products. - 20 times Life span - than traditional lamp products. LED vs Fluorescent Light Bulbs - Which is More Energy Efficient? Hands down LED llamps win! 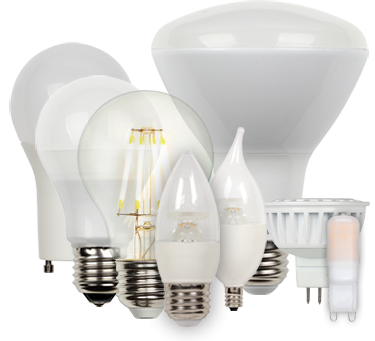 When it comes to buying energy-efficient lamps, CFL's are surpassed by LEDs by a large percentage. 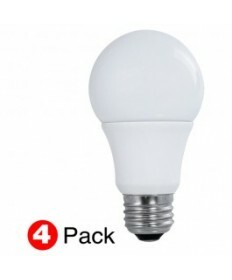 Unlike CFLs, LEDs are instant-on with no warm up time. Great in cold weather, and are more resilient as they are manufactured out of plastic. LEDs can replicate the same lighting conditions found in fluorescents or incandescents while lasting longer and using less energy. All LEDs are RoHS compliant with no mercury, i.e. ECO-Friendly! A19 LED Bulbs Looks and feels like a standard incandescent lamp. The Standard A-shape LED bulbs fit the same sockets and light fixtures as your current household bulbs. 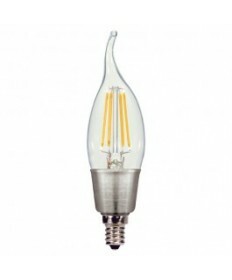 Vintage LED Bulbs Vintage reproduction lamps are now available with LED filament. They have a warm orange glow with lower light levels to mimic the style of a vintage bulb on a dimmer as it transitions from yellow to orange. 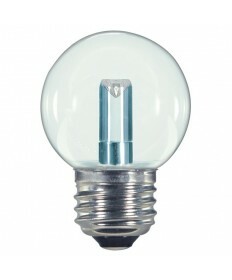 These Edison style and Victorian style bulbs make great collector items. Order yours today to make your own steampunk lighting. HID LED Replacement Bulbs LED corn lights last longer than traditional HID lamps, saving you money on replacement. 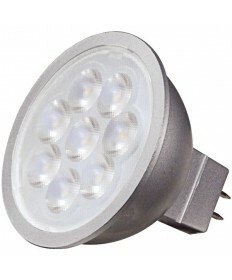 Available in many lumen outputs, LED retrofits produce the same amount of brightness as their HID light bulb equivalent. 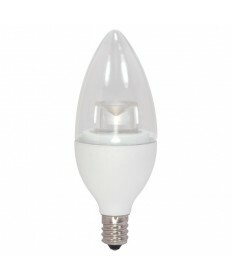 Decorative LED Bulbs Browse LED globe lights ranging from 3 in. to 1.5 in. 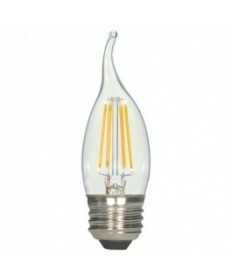 diameters or find LED replacement bulbs for your chandelier light bulbs. The long life of LEDs mean less time on the ladder changing burnt out lamps. Many LED chandelier lights are dimmer switch compatible and come in a range of color temperature so you can still enjoy the ambiance of traditional lamps but the energy savings of LEDs. LED Fluorescent Tubes LED fluorescent tubes are becoming the standard for commercial and household replacements. 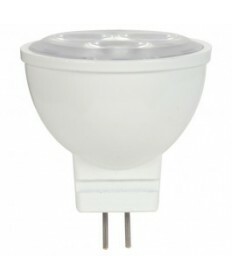 Ranging in size from T5 to T8 and come in many color temperatures. LED fluorescent tubes are the easiest way to upgrade to energy saving lamps. you have 2 options; one works with a ballast and the other without, making it easy to switch to LED lighting. These LED fluorescent tubes emit the same amount of light as T8 fluorescent, while saving you a lot on your power bill and lasting a lot longer. LED fluorescent tubes are especially effective in cold areas like upright refrigeration in your local grocery store where regular fluorescent tubes are less efficient. LED Under Cabinet Lighting For accents, alcove, and backlighting, LEDs is a fantastic choice. More flexible than traditional lamps and bright enough for accent illumination, a strip of LED cabinet light can bring any place to life. There are countless uses and applications for this easily installed new light source. Multifaceted Reflector LED Bulbs Great for Landscape Lighting , track lighting and pendant fixtures. LED Night Lights Keep the monsters at bay with LED night lights. These LEDs will light the way to the bathroom or give reassurance when you get up in the middle of the night. Mounted using tape or screws, illuminate only the area you need. Reflectors From the powerful flood and spots, to home bound recessed or track lights, reflectors find excellent use indoors or out. LED reflector lamps can provide the same brilliance for less energy and will create far less heat than an incandescent or halogen lamp. As a bonus, they have a higher CRI than fluorescent reflectors for better colors. Shop by Brand - Search our top brands for LED bulbs at the following categories at Satco LED Light Bulbs, Halco LED Bulbs and Bulbrite LED Lamps. Shop our large selection of LED bulbs for your perfect fit!